Directed by Taika Waititi. With Chris Hemsworth, Tom Hiddleston, Cate Blanchett, Mark Ruffalo. 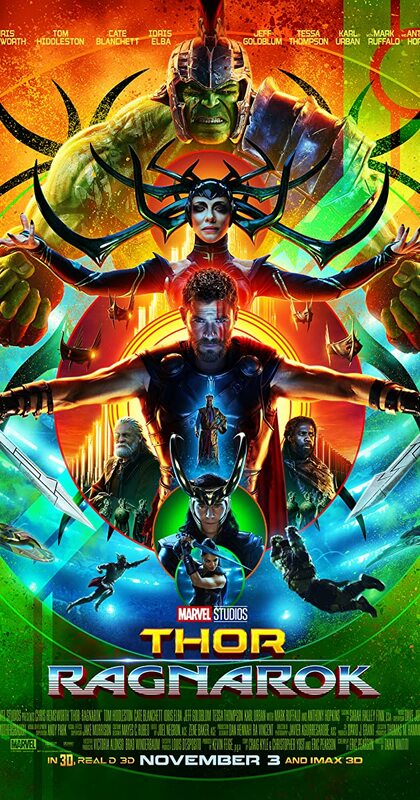 Thor is imprisoned on the planet Sakaar, and must race against time to return to Asgard and stop Ragnarök, the destruction of his world, at the hands of the powerful and ruthless villain Hela.